WLDL series roll forming machine consists of uncoiler and its base, infeed guides, fixed position driven forming stations, shearing device, hydraulic station, PLC control console and so on. Our company has hundreds of profile models for this series roll forming machine, such as WLDL66-77, WLDL50-373, WLDL18-76, and etc. We can design different kinds of profile and fittings for machine, as per customers’ requirements. 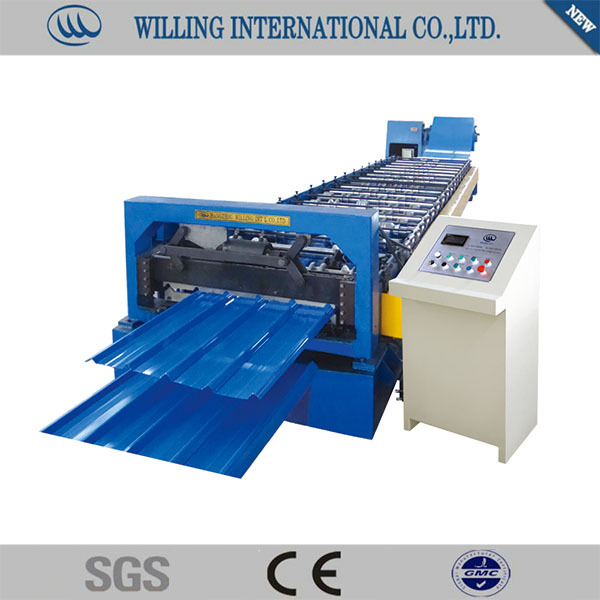 Uncoiling→Sheet Guiding→Roll Forming→Measuring Length &Shearing→Sheet to Support Table.